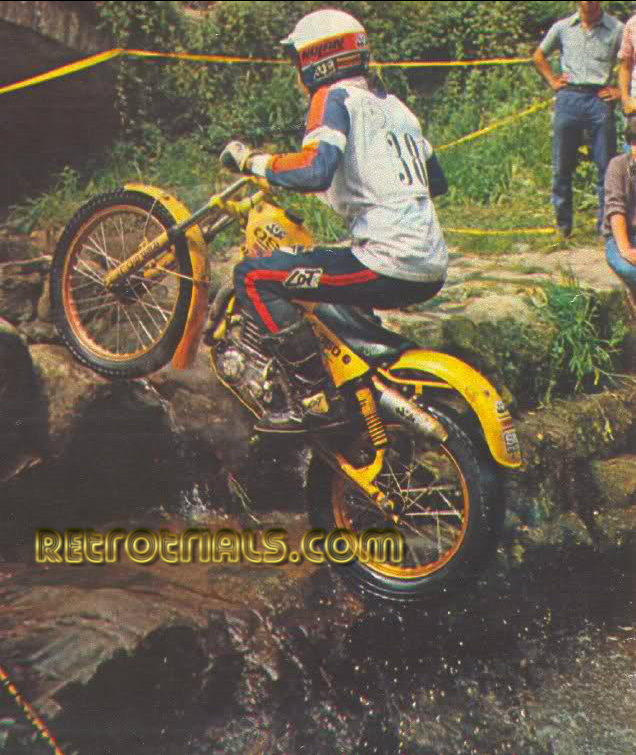 Joan was initially recruited by the Ossa factory back in 1980 and rode as a team rider with them along with Albert Juvanty. 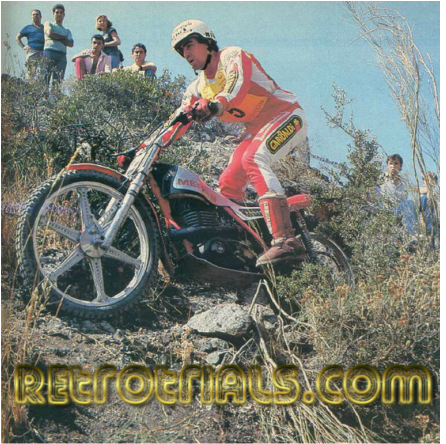 He stayed with Ossa until their demise at the end of 1981. 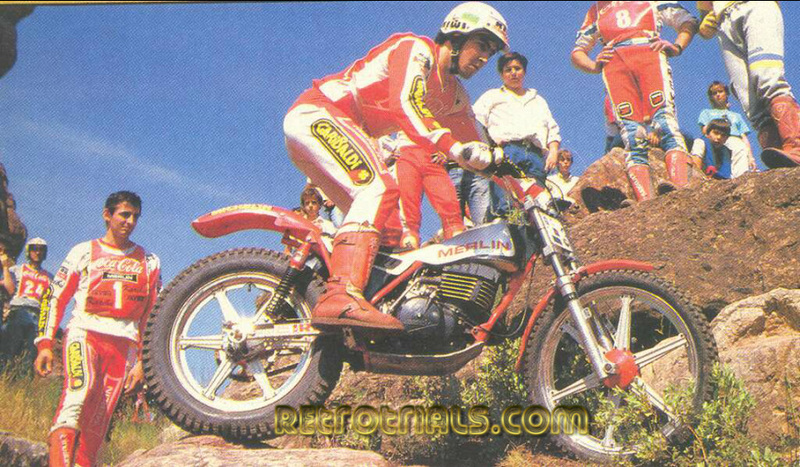 At his point Joan was recruited by Merlin as their first factory rider. Merlin at this time made childrens bikes only. 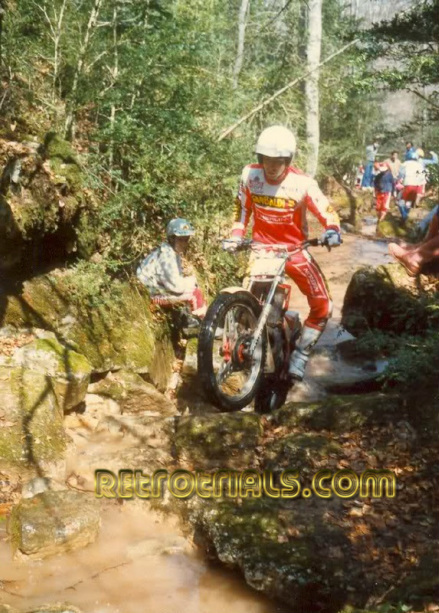 He played the key role in developing the first Merlin trials bike. This was the 1982 Merlin DG350.He was employed by Merlin to test and develop their trials range and worked hand in hand with Josep Paxau completing this. 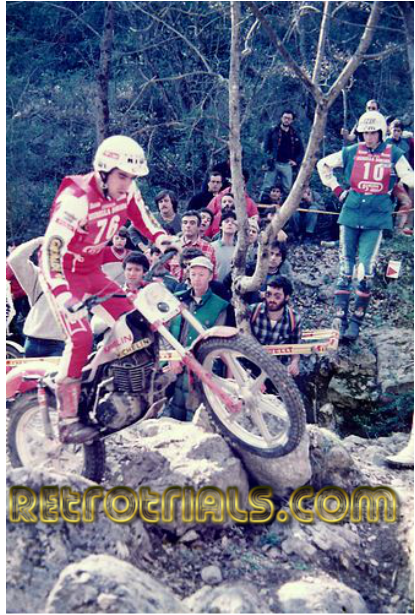 Joan also competed in many years of Trials World championship during 1982,1984 ,1985,1987 and 1988. He secured his best round placing of 6th in the German 1982 round. The same year he finished 14th overall. Joan continued riding for Merlin until they went bust in 1988. He remained in the Merlin factory and continued to work there for the new tenants GasGas. He worked in the competition team preparing the motorcycles for competition. Joan is to modest to fully admit it, but i am told that he has one of the best people in the business for diagnosing engines issues. In 2011 Joan was one of several people who left GasGas and started work with Jotagas . He is the European development manager, assisting importers and encouraging the profile of the brand. 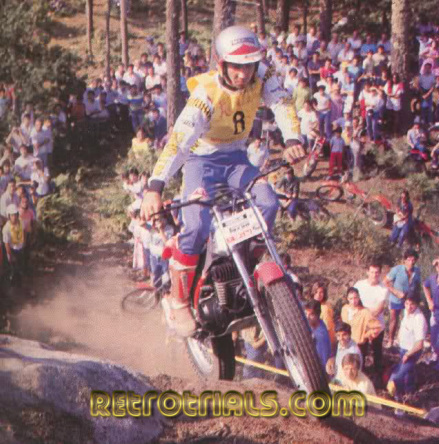 He still rides competitively and recently ride in the 3 day Santiago trial in team Jotagas.